She had no idea that she had been carrying the contact lens around for nearly three decades. A British woman who went to the doctor for a cyst in her left eye was shocked when they discovered a 28-year-old contact lens in her eye. 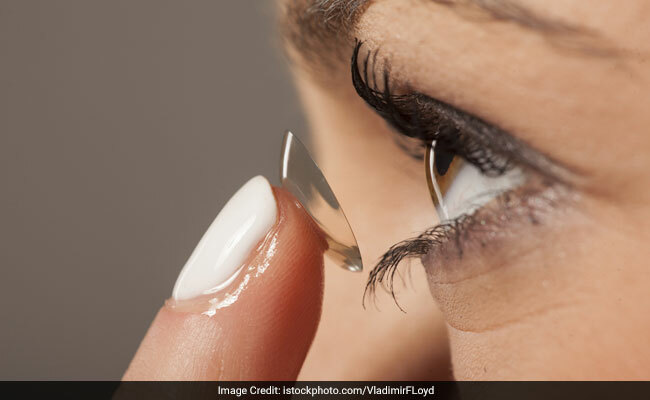 According to a report published in the journal BMJ Case Reports, the 42-year-old woman had no idea that she had been carrying the contact lens around for nearly three decades. Surgeons found the rigid contact lens after an MRI scan showed a lump above her left eye. On doing a surgery to remove the lump, they found the old contact lens inside - perfectly intact. CNN reports that the unnamed woman was bewildered and had no idea how the lens got there - until her mother remembered an incident from when she was just 14-years-old. While playing badminton as a teenager, she was hit in the left eye by a shuttlecock. She assumed that the lens she was wearing had fallen out and was lost. "However, it can be inferred that the lens migrated into the eyelid and resided there asymptomatically for 28 years," says the case report, published last Friday. Doctors are not sure what exactly caused the woman to react to the contact lens after 28 years, given that she had been fine for so long. The case has left the Internet shuddering, and horrified reactions to it have even been curated into their own Twitter Moment today. "Lost contact lens found in woman's eyelid after 28 years." This is not a headline I want to read today. This woman had a cyst in her eyelid because her contact lens was lodged there for 28 years when she was hit in the face during a game of badminton as a child. Recently, a report published in the New England Journal of Medicine detailed how doctors at AIIMS, New Delhi, cured a 4-year-old of his "whistling cough" by removing the plastic whistle stuck in his throat.